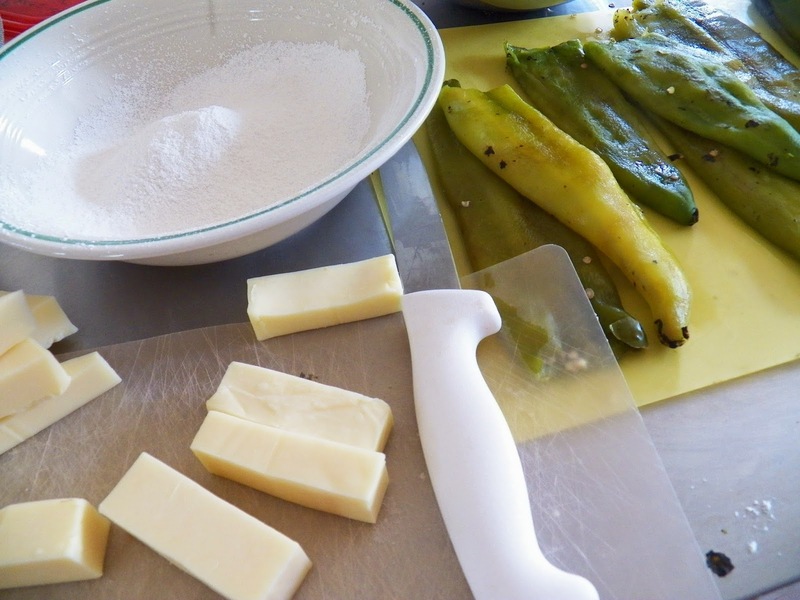 I felt like I had to point it out that I’m making Cheese Relleno’s with Hatch Green Chiles. I was so excited when I saw them at the market last week. 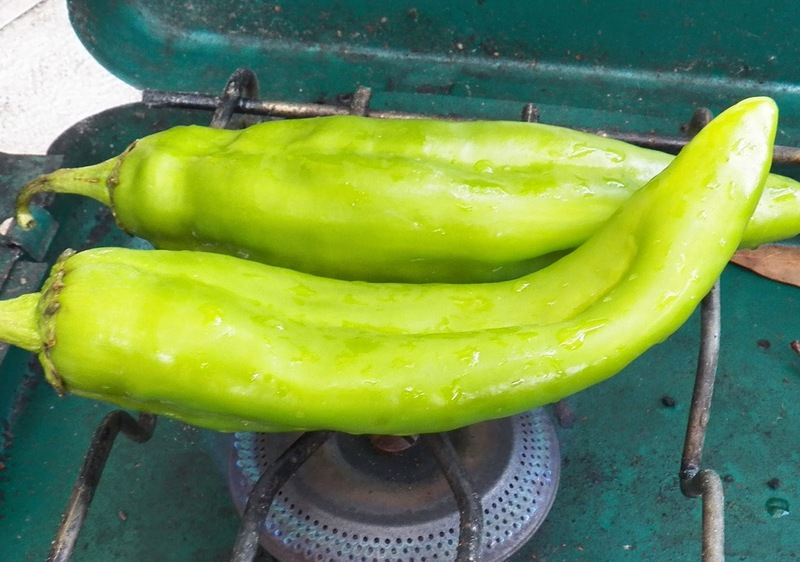 There is such a short window when they are fresh and available and since my three Anaheim Chile plants did very poorly this year, we’ve not had Chile Relleno’s for quite awhile. 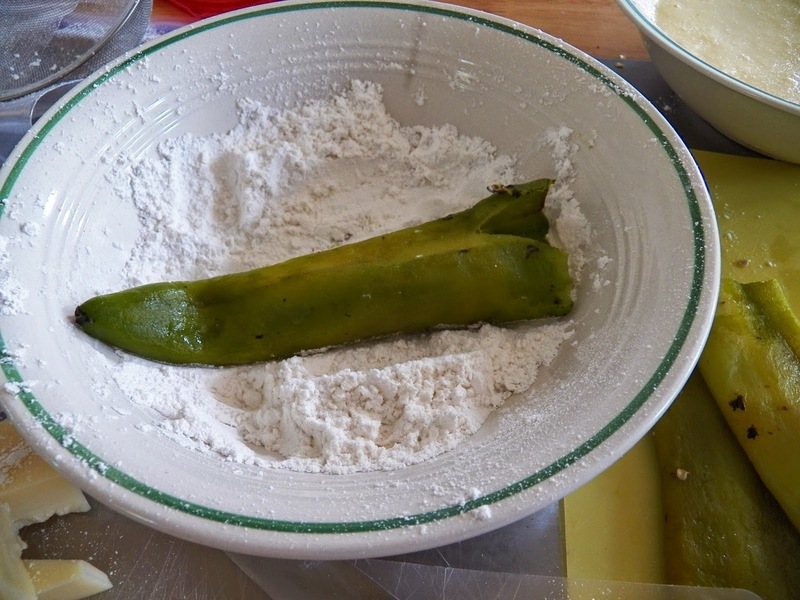 I know I’ve posted about how to make Relleno’s before, but I thought I would just go ahead and tell you all about how to make them again. First off, you need to char the skin off, and I told you how to do that the other day. 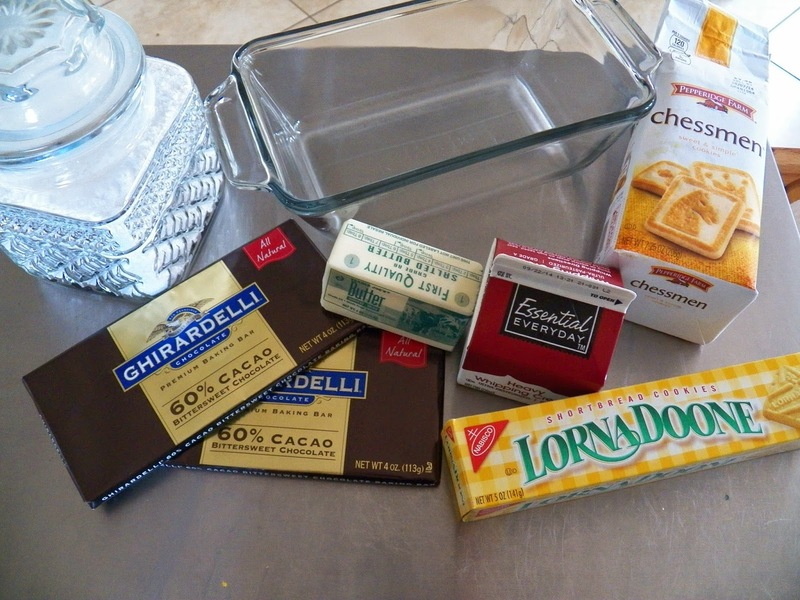 Next up is the batter and the cheese. 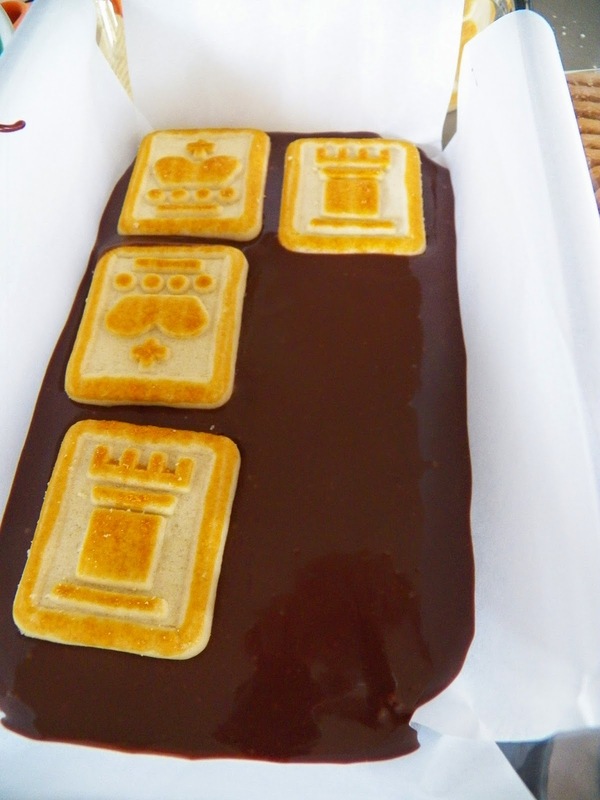 Sorry got confused there, but these would be great after a baseball game, a little too messy to eat there though. 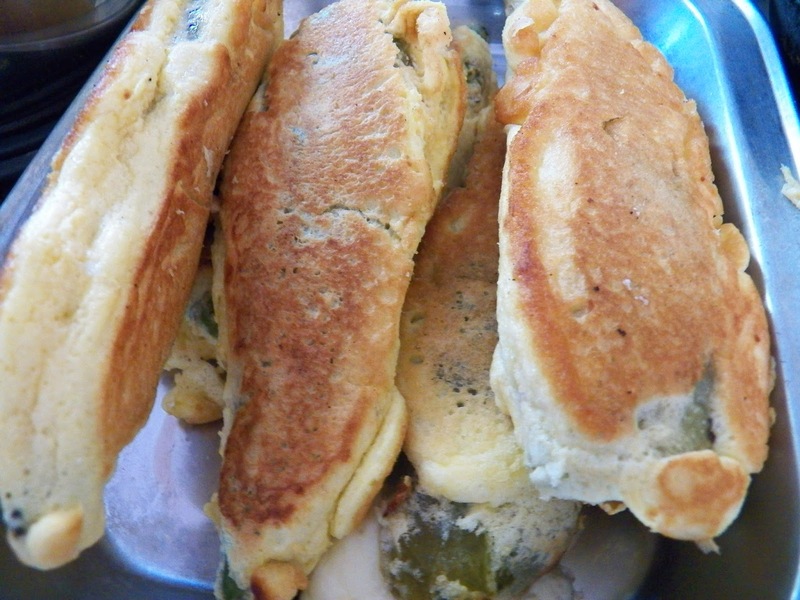 I made us five Relleno’s from the wonderful chiles I found at the market. The rest are safely tucked away in the freezer for a few more meals. I did count how many I had prepared though, 42. Which by my reckoning means 8.4 meals. I’ll probably use the extra two chiles in some Chile Verde later on. 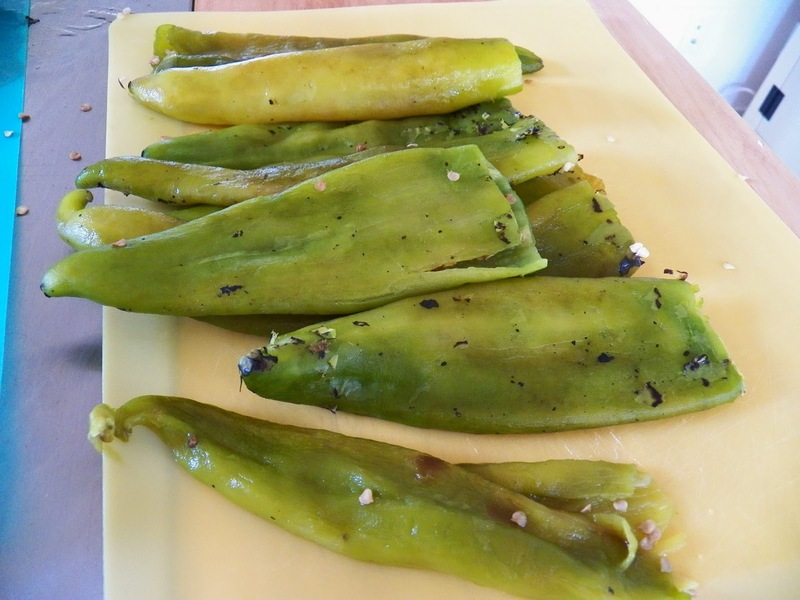 Peel and seed however many chiles you’re making for dinner. 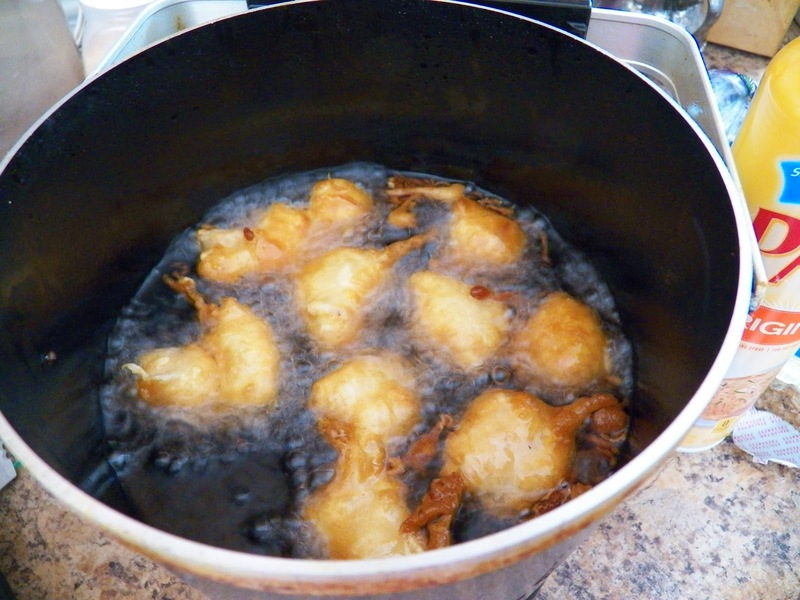 Pat them dry, and set aside while you make the batter. 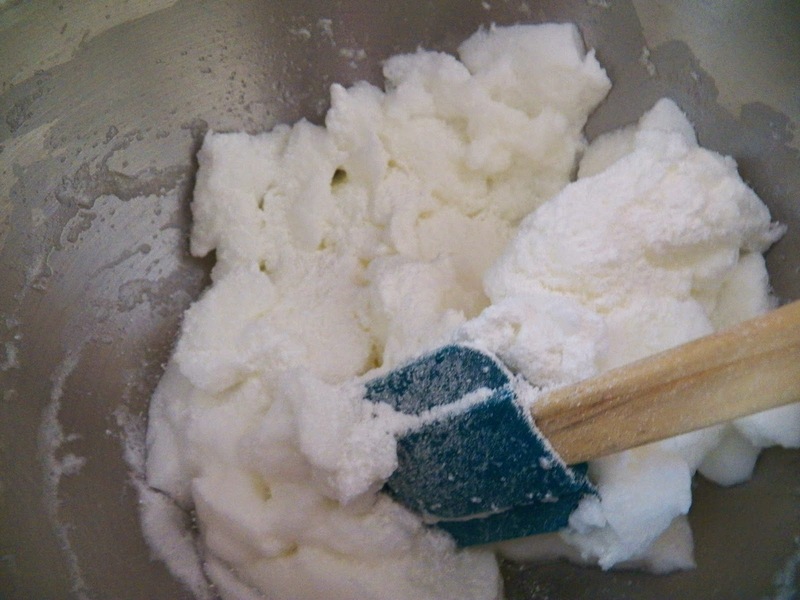 Beat the egg whites until stiff, then fold in the flour, carefully. And there you have it, however, I hate to waste the yolks so I add in about half of them. 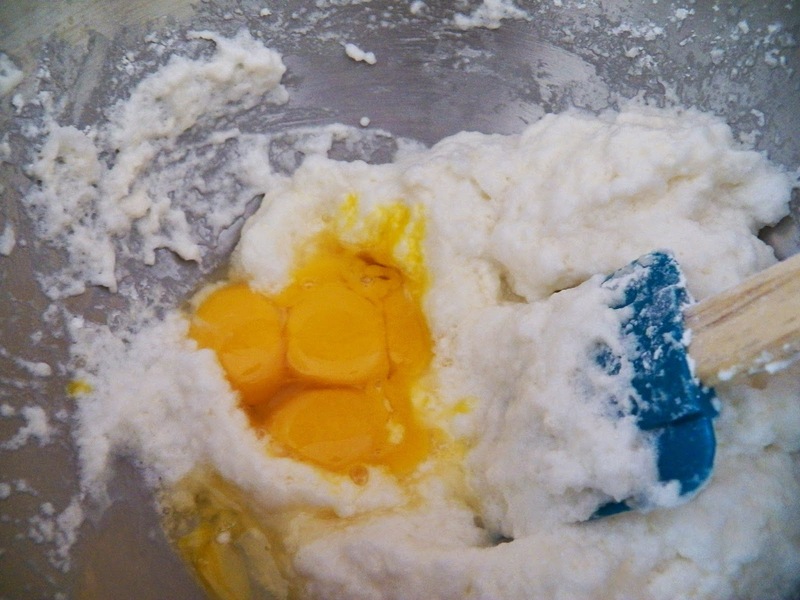 Stir the egg yolks together, and add a little at a time, or just dump them in like I did, whoops. Folding very carefully. Set aside. 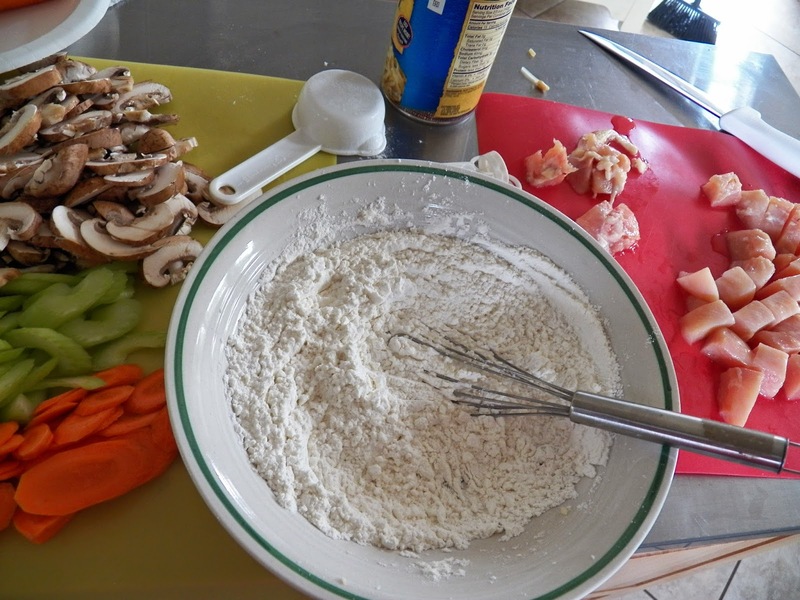 Slice some Monterey Jack cheese into finger size or larger chunks. 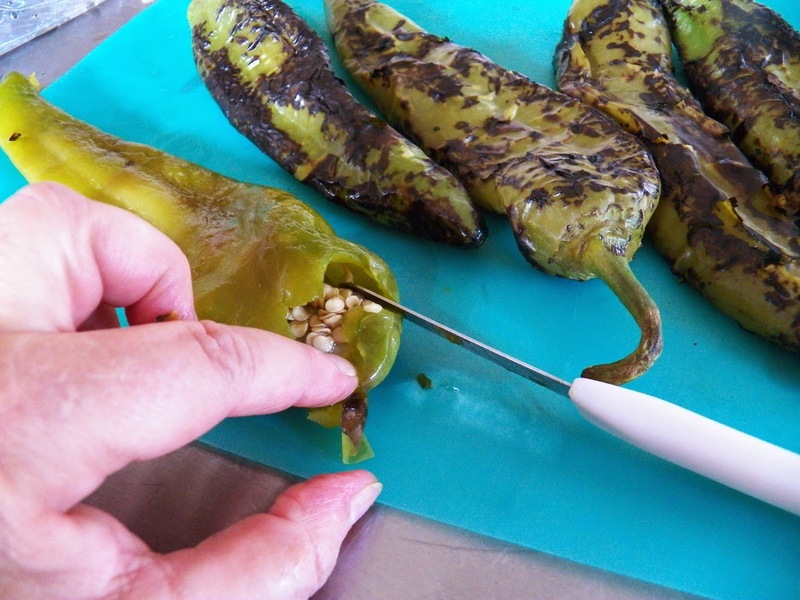 Measure against the chiles, and make them just a tad narrower than the chiles you’re stuffing. 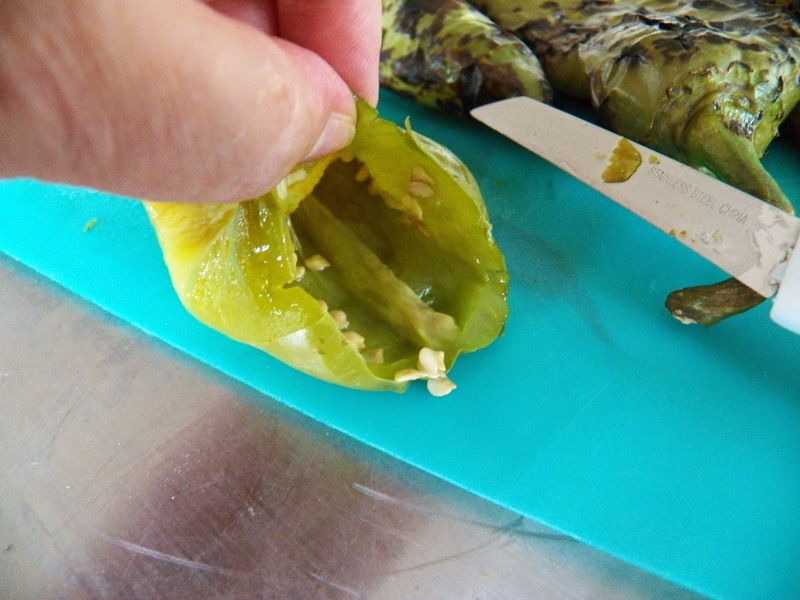 Pick up a chile, and place a piece of the cheese inside. If you’ve ever put a sock on a toddler or infant, just think of stuffing a little foot inside of a sock or shoe. You need to be careful of the foot and the sock. 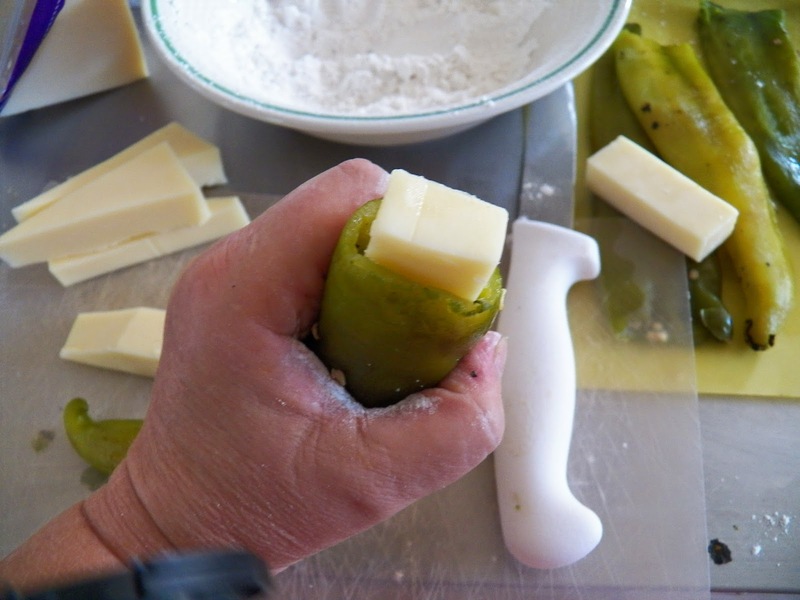 Don’tcha just love that claw like hand, clutching the green chile? 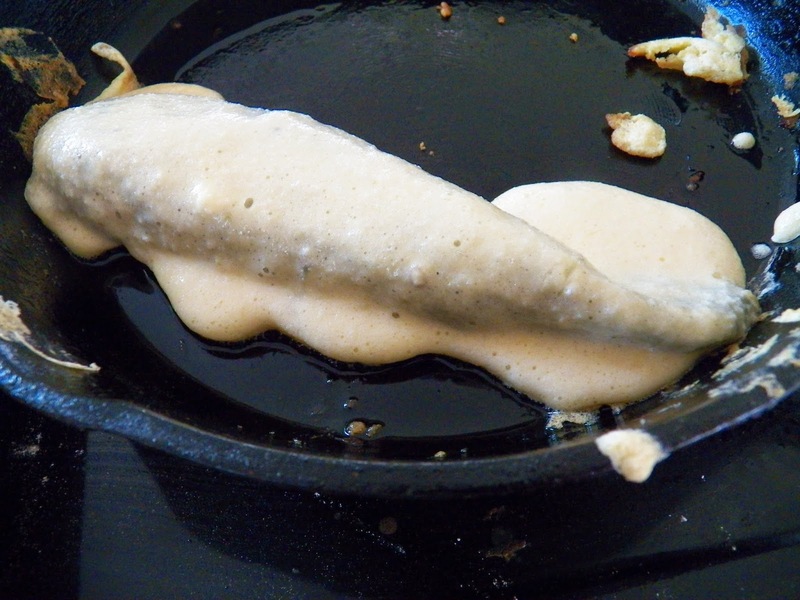 then dip into the batter and place in an oiled pan. 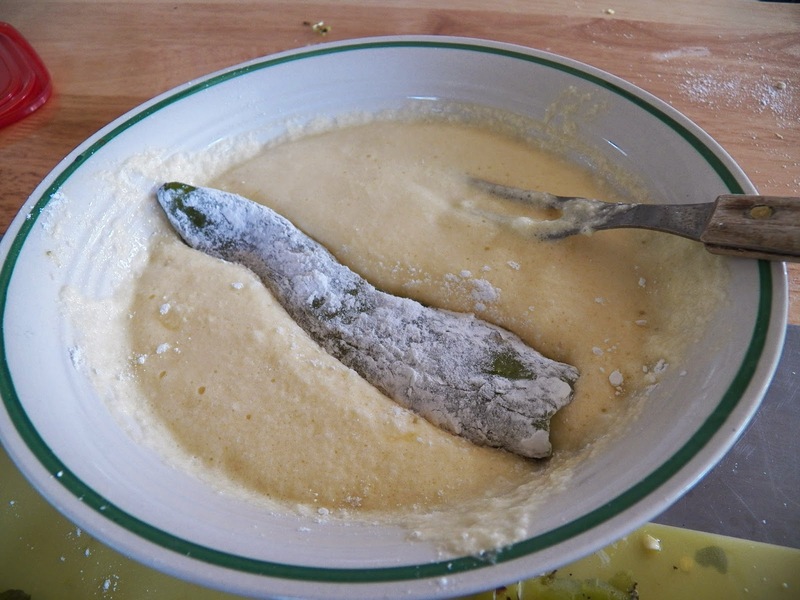 I found a trick this time, I picked the chile up from the batter with my meat fork, and then put it into the pan. Worked like a charm. Can’t believe I hadn’t tried that before. 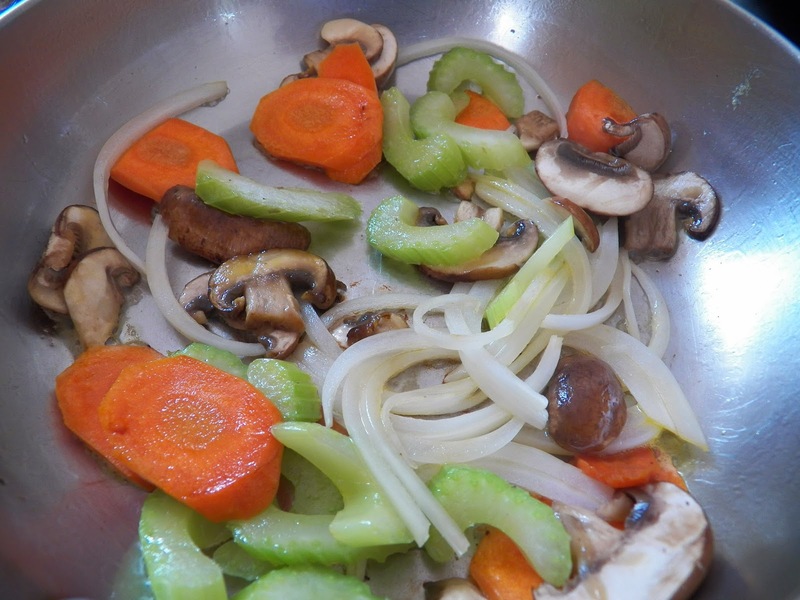 I use about 1 tablespoon of oil per chile. 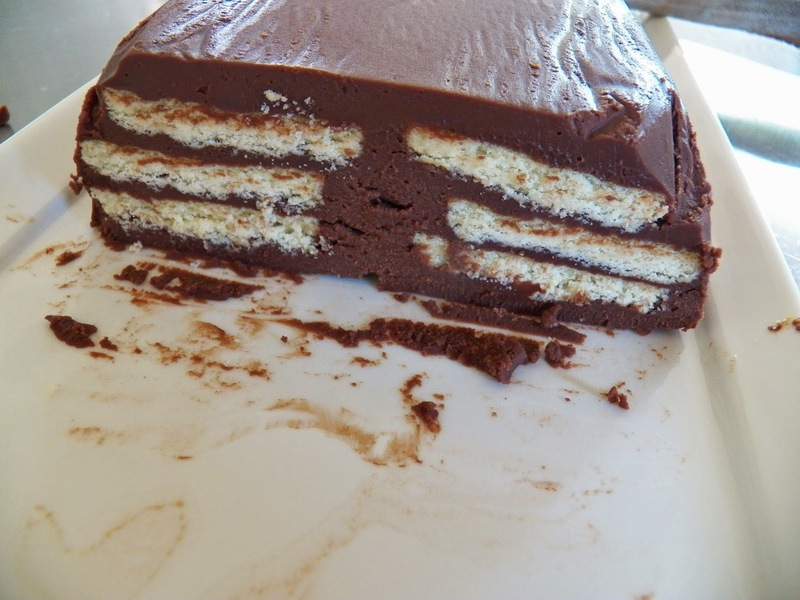 Cause that batter is like a sponge and it soaks up the oil like you wouldn’t believe. I love my cast iron pan for this. It holds the heat and yet, because it’s well seasoned, it also doesn’t stick. 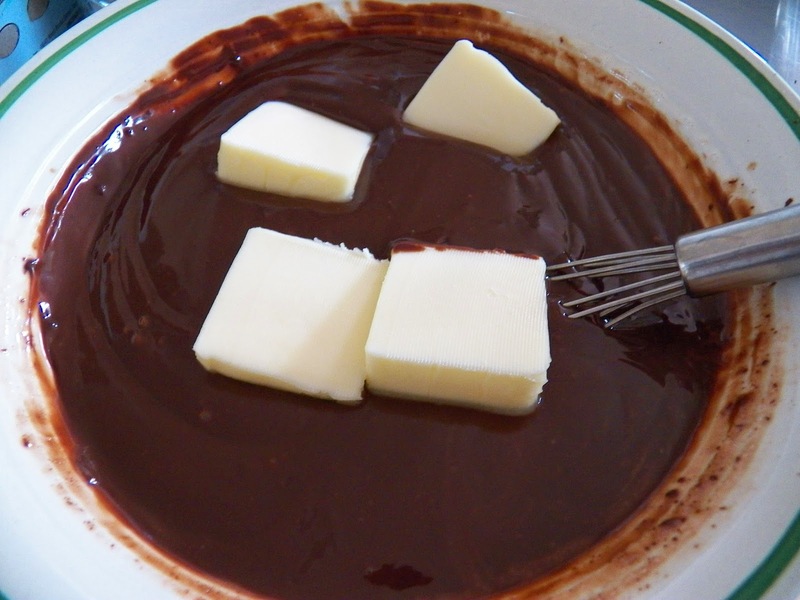 Cook over a fairly low heat for a few minutes until one side browns, then flip over and cook the other side. 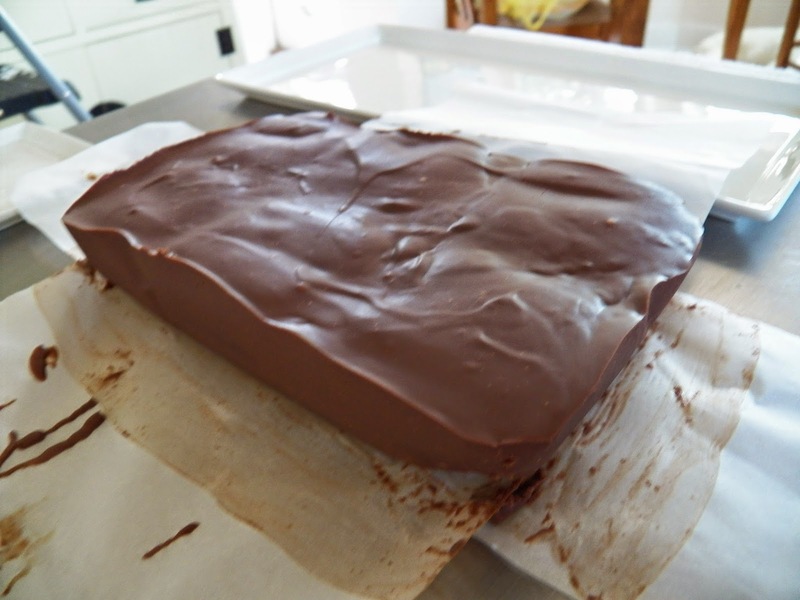 If my batter is too thin, I’ve been known to drizzle a little more batter on the uncooked side, just before I flip it. 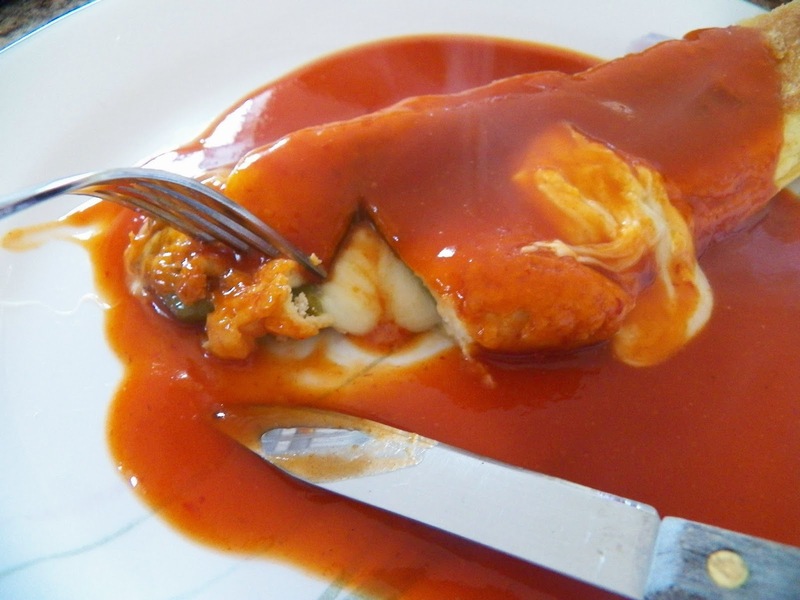 Take out of pan after browning and continue until all the rellenos are cooked. 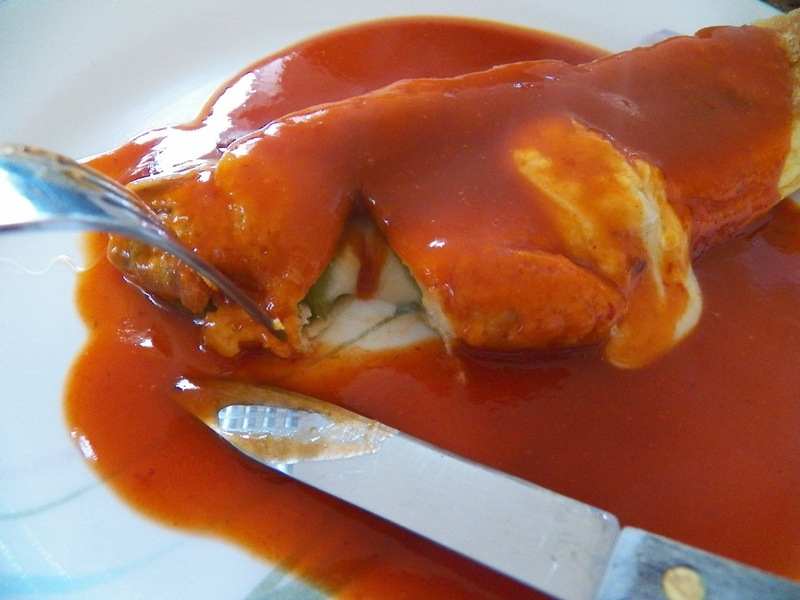 Serve with your favourite enchilada sauce. See that lovely oozy cheese in there, sooo good. 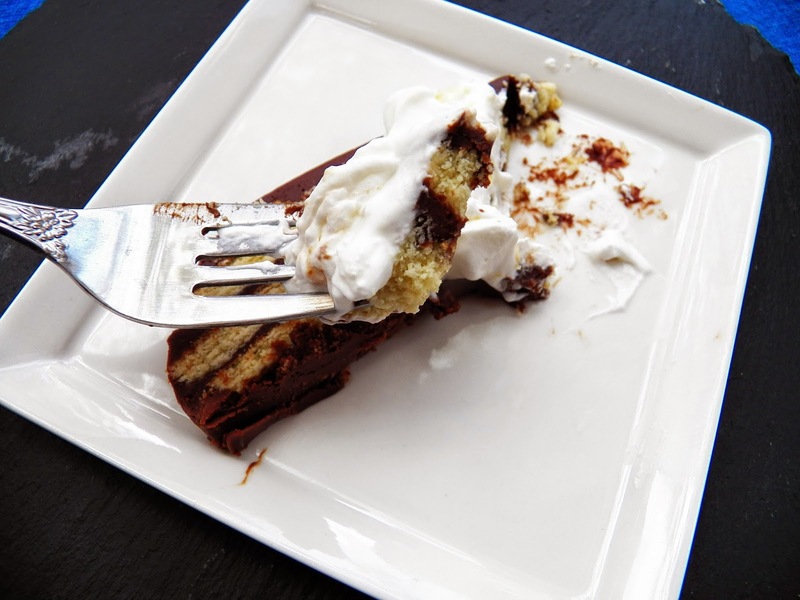 We just eat it like this, but you can always make some rice and beans and serve alongside. I kinda, well almost, got carried away last week. OK, so I maybe bought a little much, but we’ll use it all. 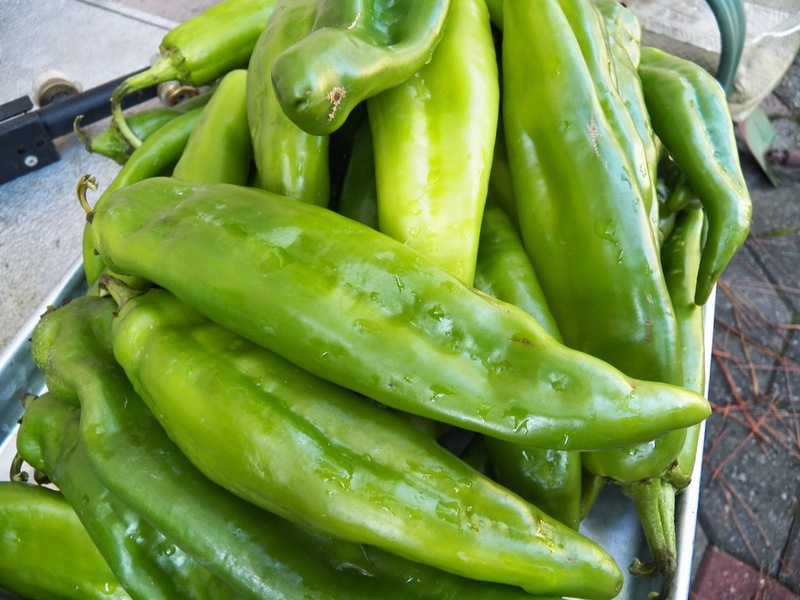 I’m talking Hatch Chiles from New Mexico. They’re only on for a short while, and when they’re gone, they’re gone. I was in the ‘big’ city and decided to check out a ‘new to me’ market. Guess what we’re having for dinner soon. At any rate, it’s been a long time since I’ve had such a gracious plenty of peppers, the three Anaheim pepper plants I planted this year have yielded very little. I think I’ve picked 5 peppers so far, really pitiful. The Chiles’ I bought last week are huge, I mean really big, three of them will be more than enough for a dinner for the two of us. 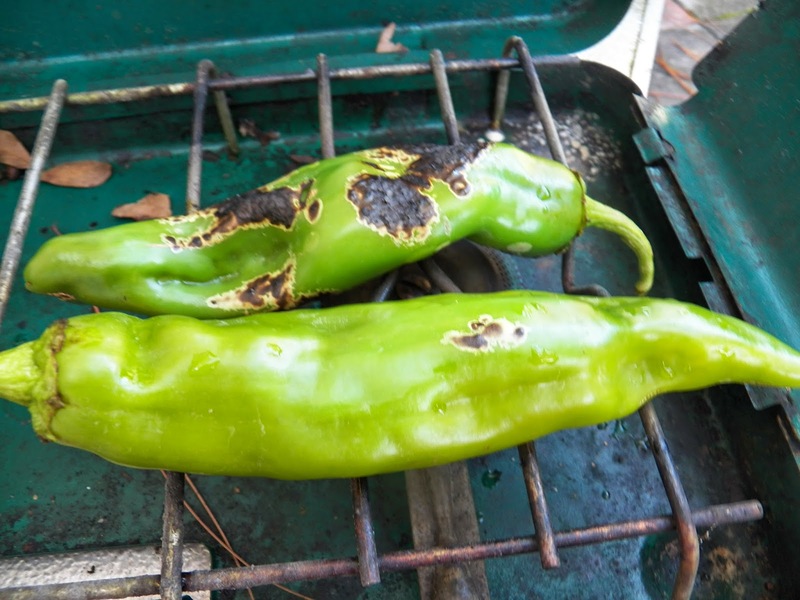 I got out my trusty camp stove, hooked it up and proceeded to char the skin on all those chiles. And you do need to do this. The skin is pretty inedible. I have done this in the oven, but don’t care for how ‘cooked’ the chiles get. 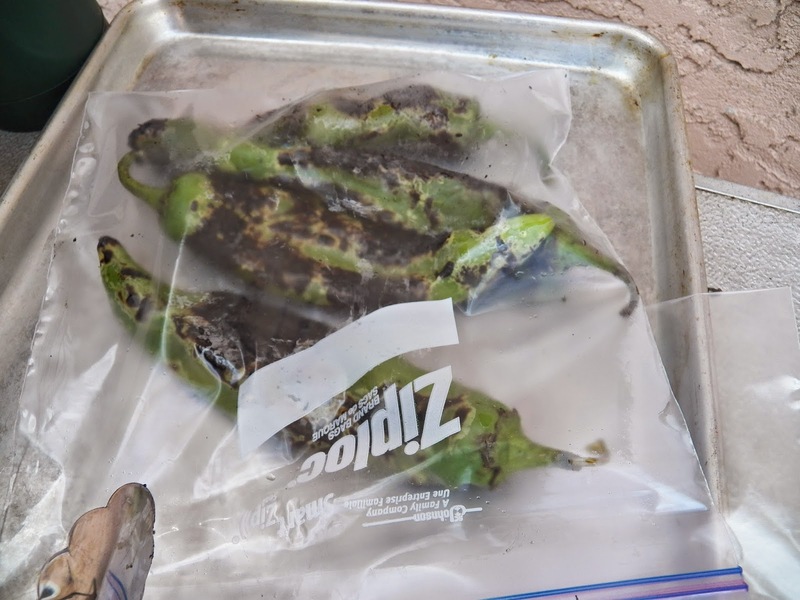 After charring, I put the chiles into a ziploc bag, so they can ‘sweat’. It makes it a whole bunch easier to remove the skin if you do that. All ready, well, almost. I usually take a paper towel and wipe them down at this point. But if there are a few little blackened charred bits left, that’s OK, they just add to the flavour. These Chiles are ready for step two, which is to be made into Chile Relleno’s with Cheese. I’ll go through the steps for that later on. And here’s a tip. 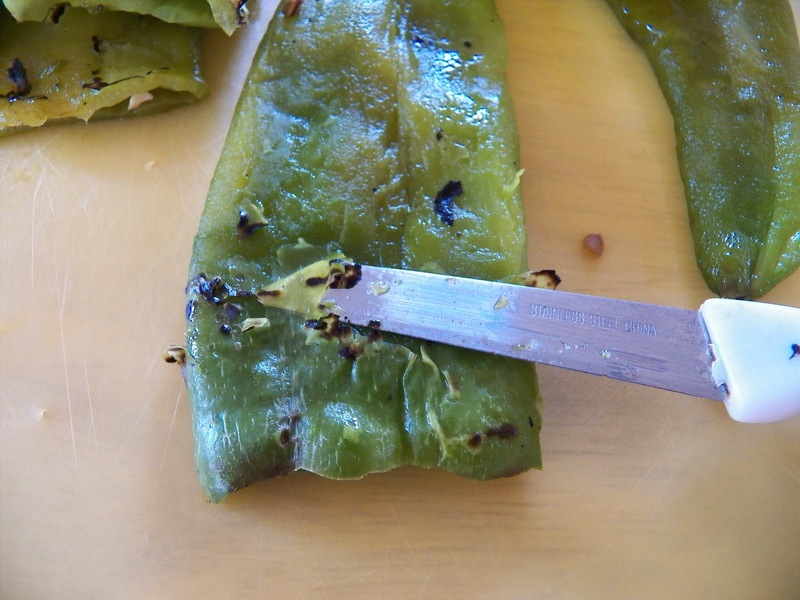 Go ahead and freeze the chiles as is, charred skin, seeds and all in a single layer. 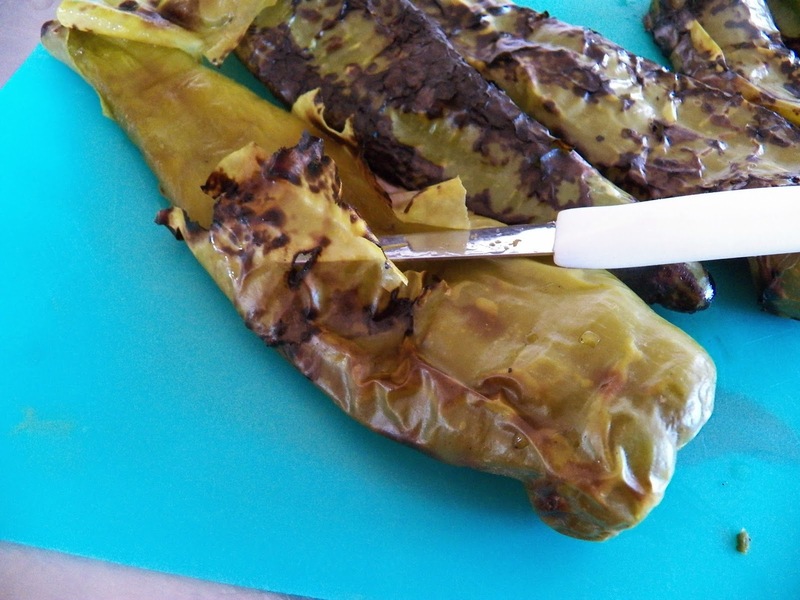 After freezing, stick them into a ziploc bag, as many as you’ll eat for a meal, and when you’re ready to use them, take them out of the freezer and run them under some warm water for just a second or so, and the charred skin will wipe right off. You might still have a few pesky hanger ons, but the most of it, just wipes away. 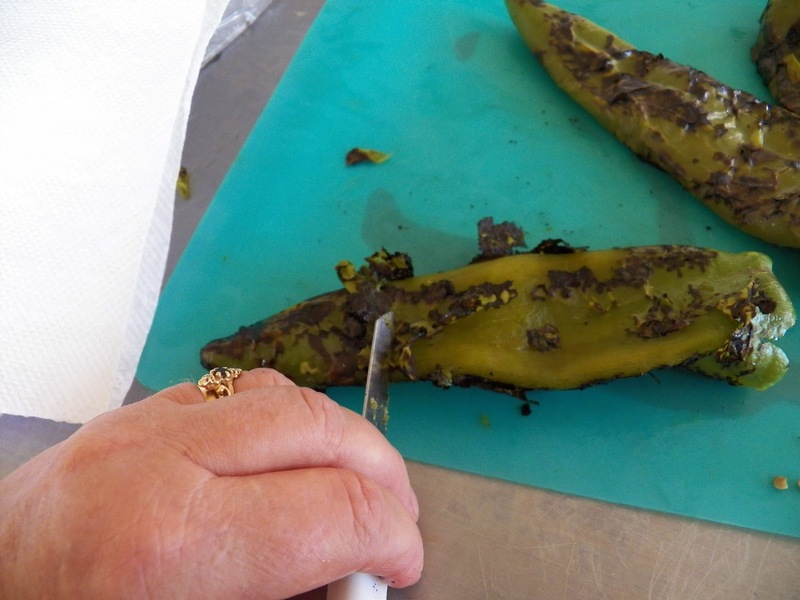 You can then cut the ends off, and pull the seeds right out. I finally done did it! But that’s OK, it just makes me stretch my cooking chops. 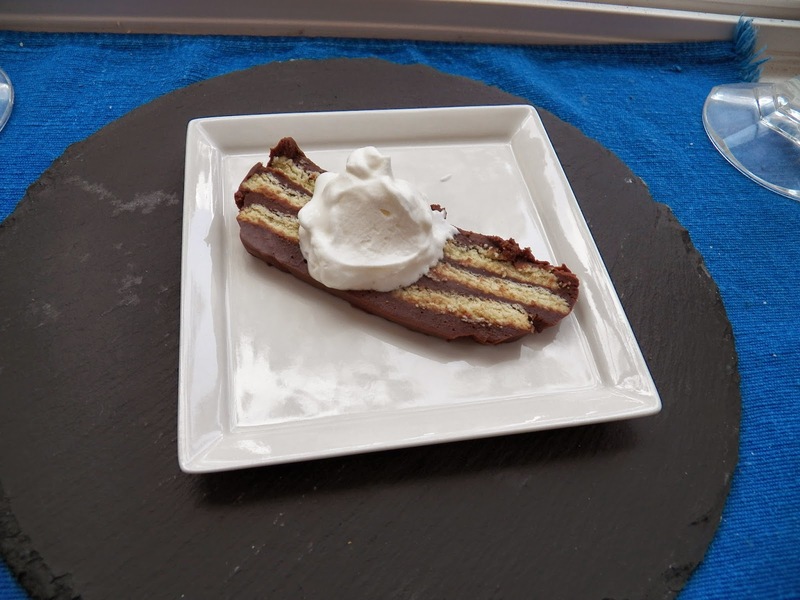 Well, for years I’ve experimented and tried and failed to make a good, light, crisp coating for one of my husband’s favourite dishes. 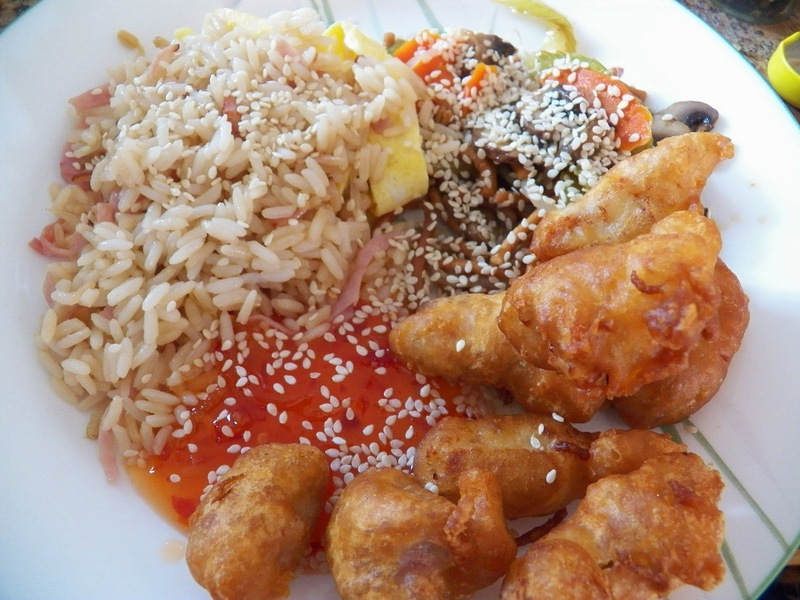 I nailed the sauce years ago, but the coating for the Chicken Balls, well, let me say, we’ve eaten a lot of marginally good chicken balls, and a few recipes have been offerings to the Kitchen Goddess. I’ll probably play around with this a little more, but for now, my mouth was happy. Very happy. 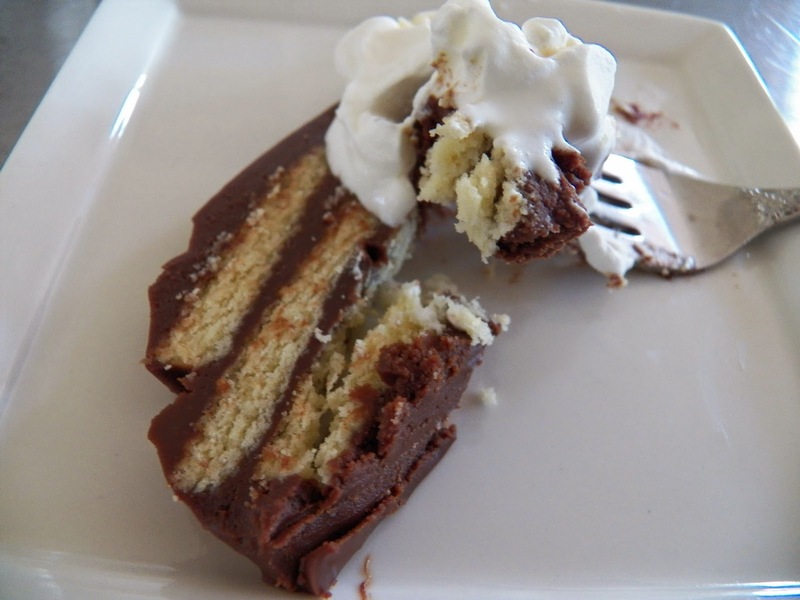 I think this could also be made gluten-free, using the cornstarch and some gluten-free flour. I’ll be experimenting with it later on. And the Ham Fried Rice. Well, I do it my way as well. Cook the rice and set it aside to cool. Chop up some ham, and half an onion. Saute the onion in a little oil, just til soft, add the ham, stir it around a smidge, then add the rice and some soy sauce. 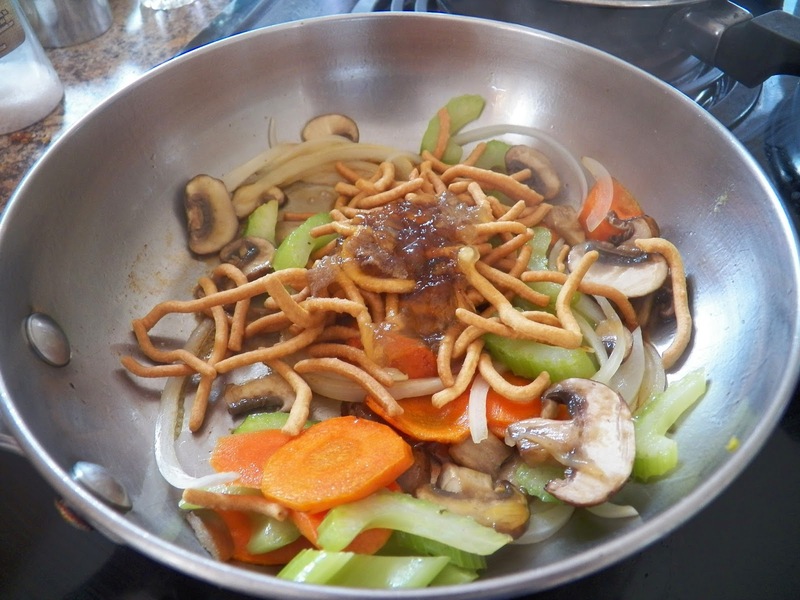 Fry it for a couple of minutes, then add a half cup or more of bean sprouts, and stir together. 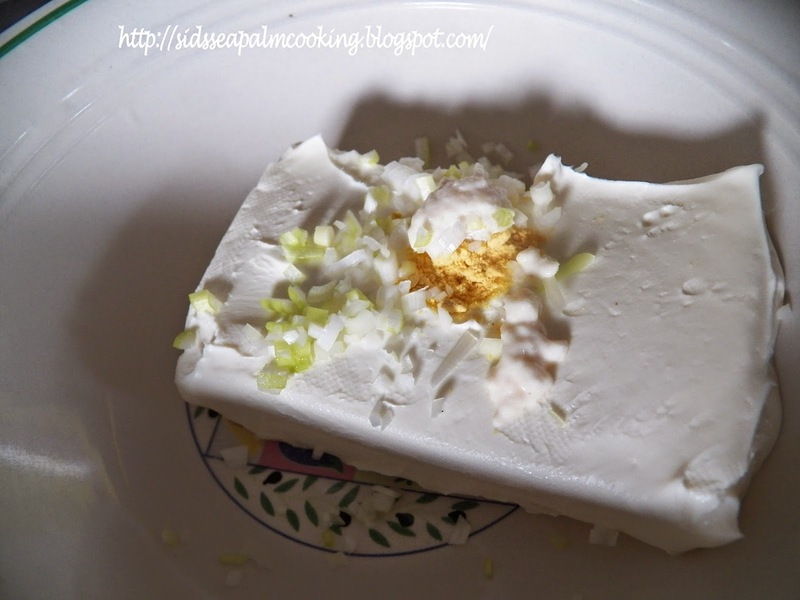 Serve with some chopped green onion on top, and even a little egg. 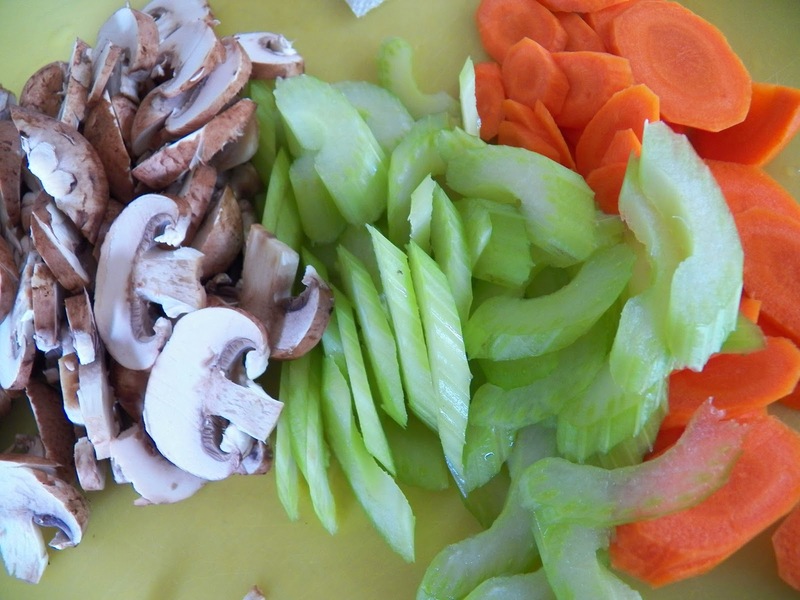 I never used to like veggies, and in fact, like most kids I would look at certain foods with a great deal of suspicion. And would refuse to try it, if it didn’t look ‘right’. I bet you’ve had that argument with various members of your family as well. Well, before I was allowed to say “I don’t like it”, I had to eat at least one bite. I still don’t like cooked peas, but because I tried one bite, I was allowed to say “I don’t like them”. But, at least I tried them. And now, well, let me just say this, if my Mom could see me now. 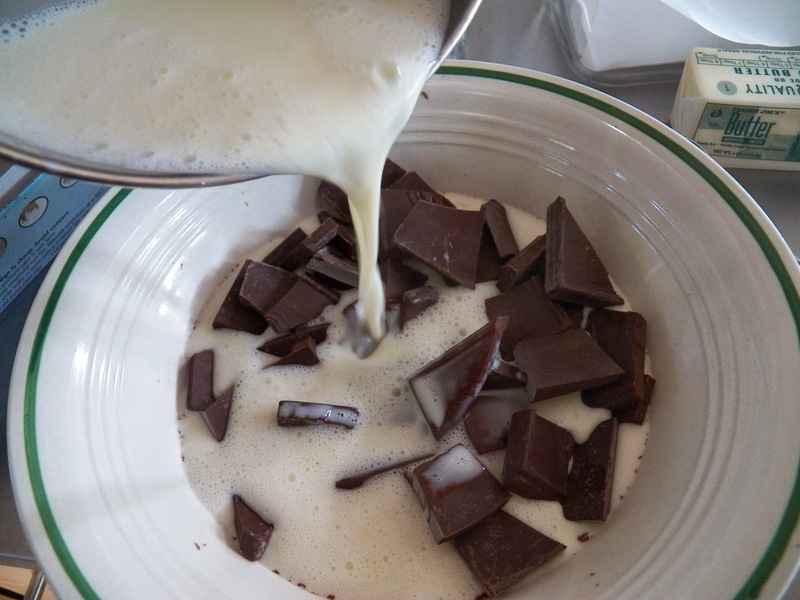 Which leads me to this dish. To be honest, I haven’t had this in a long time, but I’ve been trying to eat cleaner, healthier and even though this is part of a larger meal, at least I’m eating veggies. And since I’m also craving some Chinese food and the nearest Chinese restaurant is 30 miles away, I’m going to make my own. 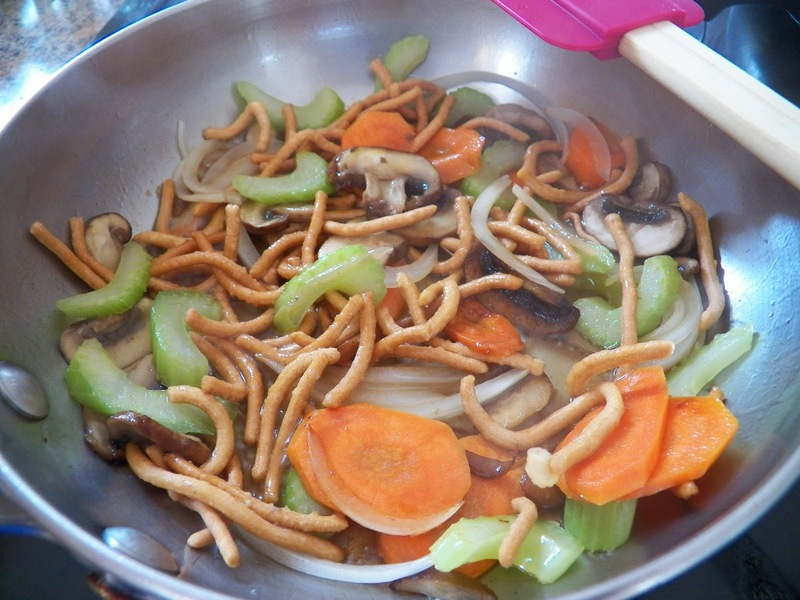 I’m making some Chicken Balls with Sweet and Sour sauce, Ham Fried rice, and this, Chow Mein. 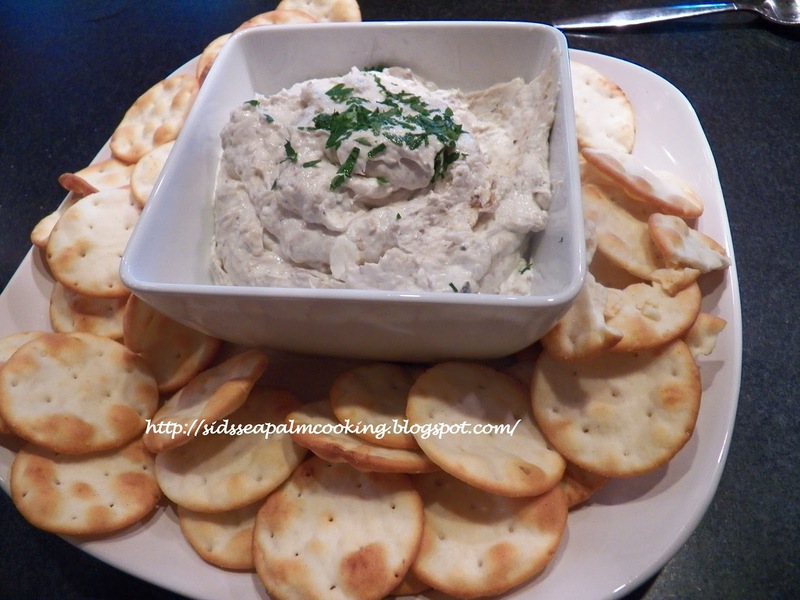 1 sliced, cooked chicken breast or cooked pork chop if desired. 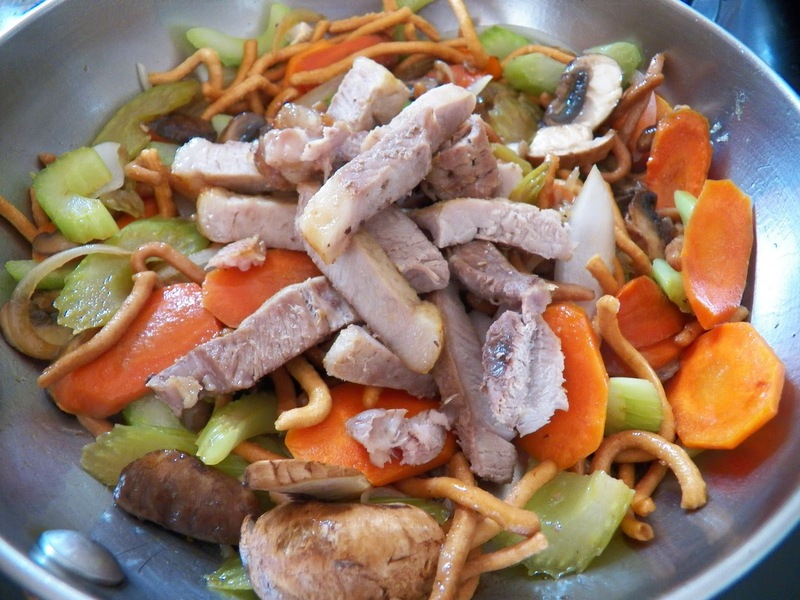 then add the fresh bean sprouts and the cooked, sliced pork chop and stir in quickly. 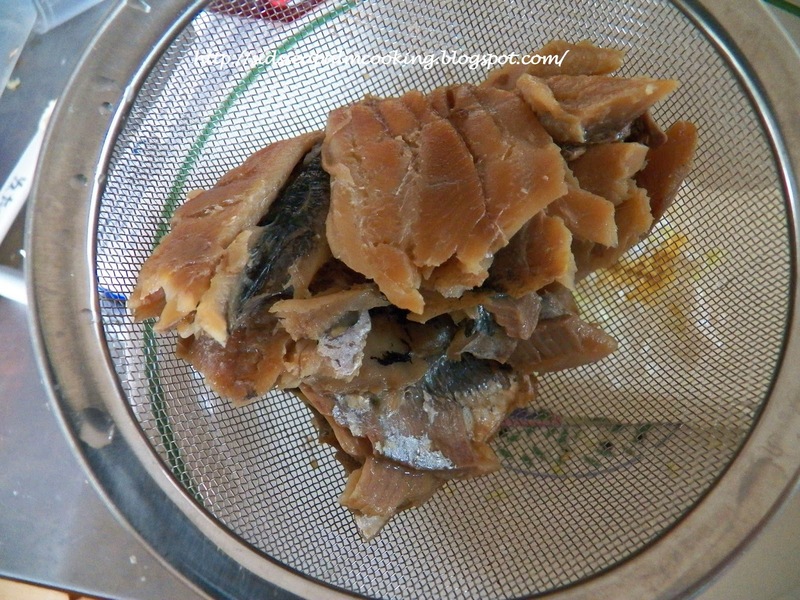 Fold in 1 tablespoon Sesame Seed Oil. 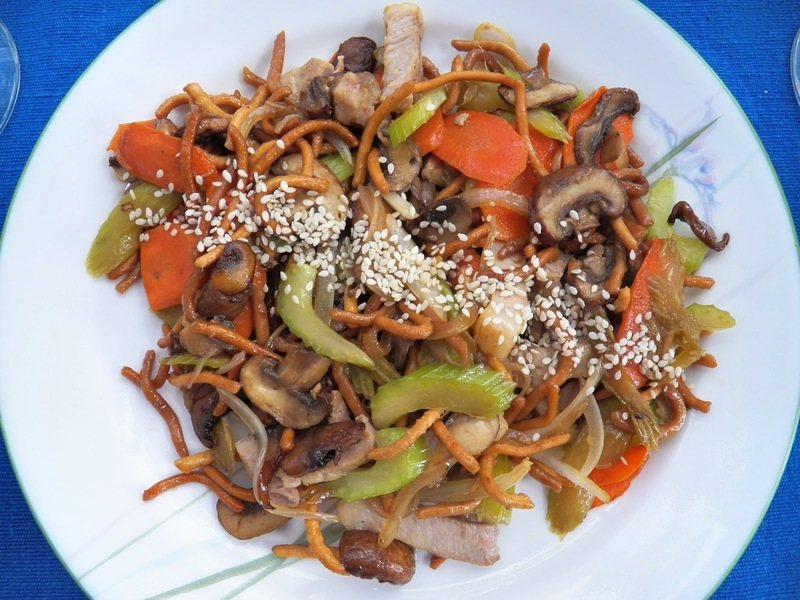 Serve immediately with a sprinkle of Sesame Seeds. You might have noticed, I didn’t add salt. The Soy Sauce has enough salt in it. 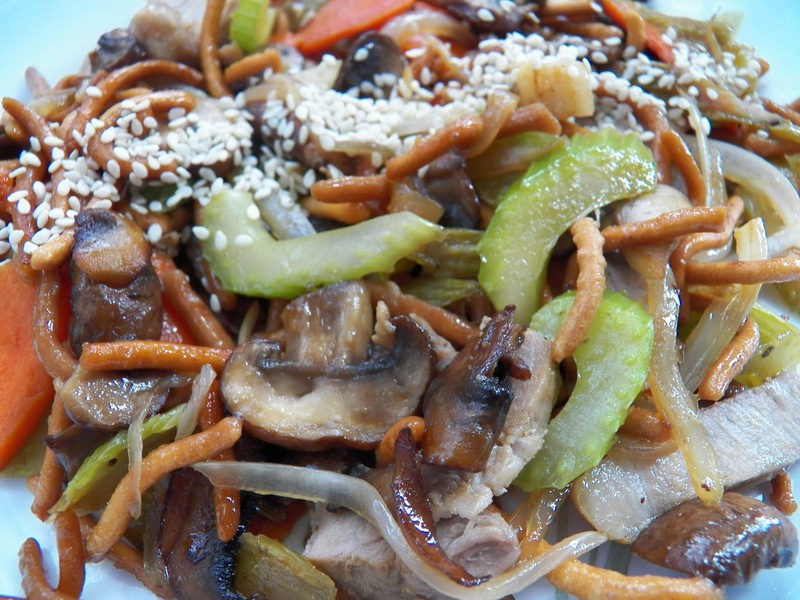 To make this totally vegetarian, you can use vegetable stock instead, and to make it gluten free, just use some bean thread noodles or rice noodles. This is my plate from last night. 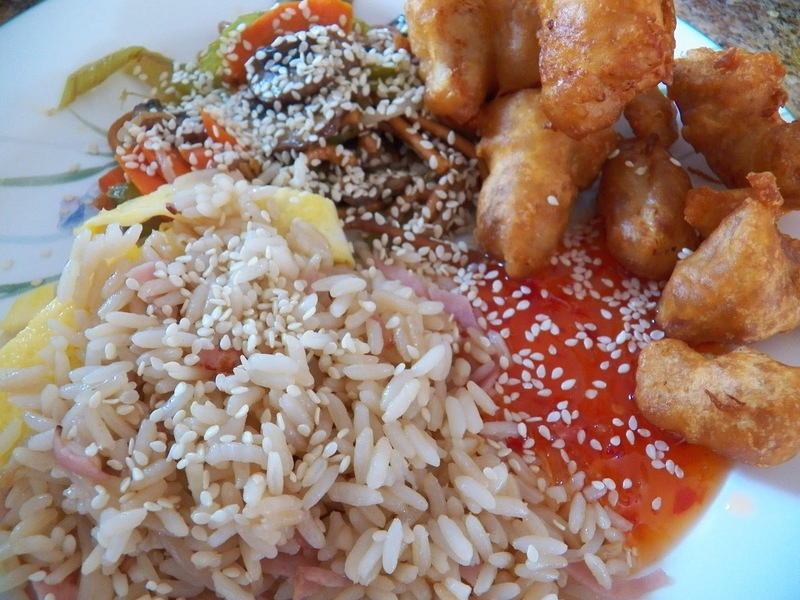 Some Ham Fried Rice, and hiding under the sesame seeds, the Chow Mein, alongside some totally awesome Chicken Balls. 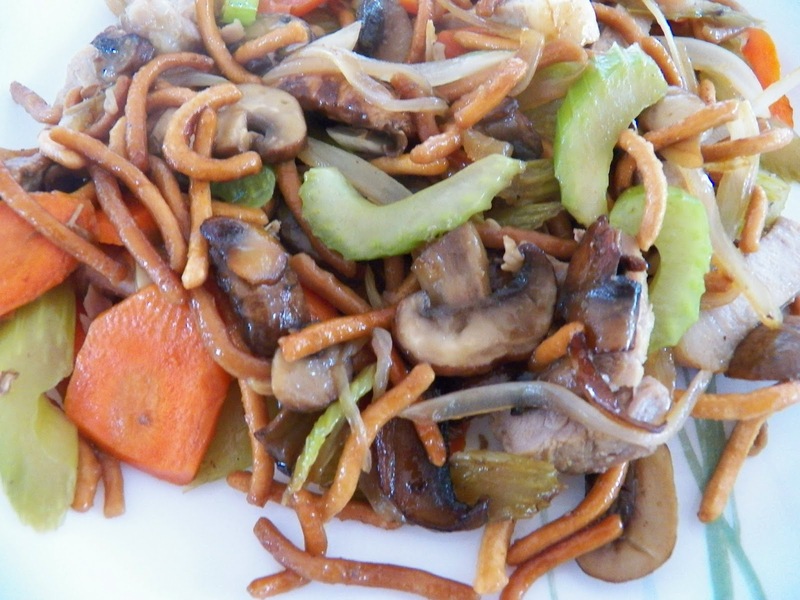 And I got to eat the leftover Chow Mein for breakfast. It was a pretty balanced meal. Veggies, carbs and protein. 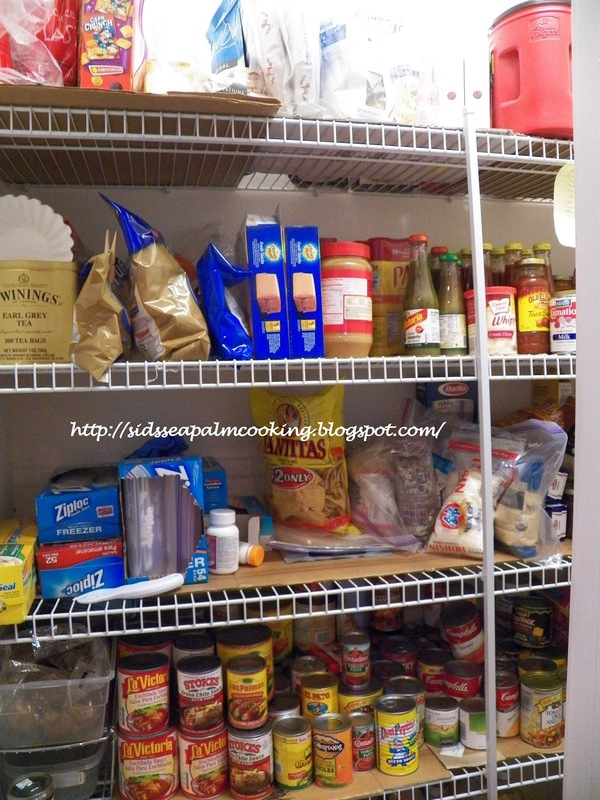 I’ve been busy organizing or rather re-organizing my pantry. I’ve got wire shelves in there and I had all the glass bottles in little bins and on trays and it was getting just a tad crowded. I really should have taken more before pictures, but… When I get in the zone, I have to do it. At any rate, I have those wire shelves and after talking it over with my DH, decided to try putting something solid down over the wire shelves, to hopefully make a more stable base for, oh gee, glass bottles. But it is big enough for an awful lot of stuff. sigh. My DH suggested either masonite or luon (?) and then as we talked, I realized I had some cardboard boxes that could be re-purposed as shelf liners. So, I spent the weekend going through the pantry, reacquainting myself with my food, discarding some things that had expired, sigh. Not that many though, I do rotate most of my food purchases on a timely fashion. 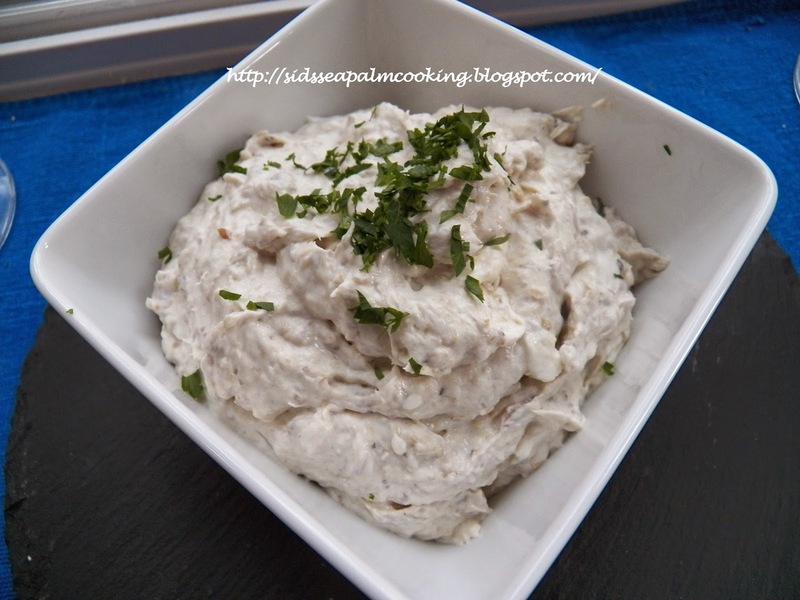 And what has all that got to do with Smoked Kipper dip? 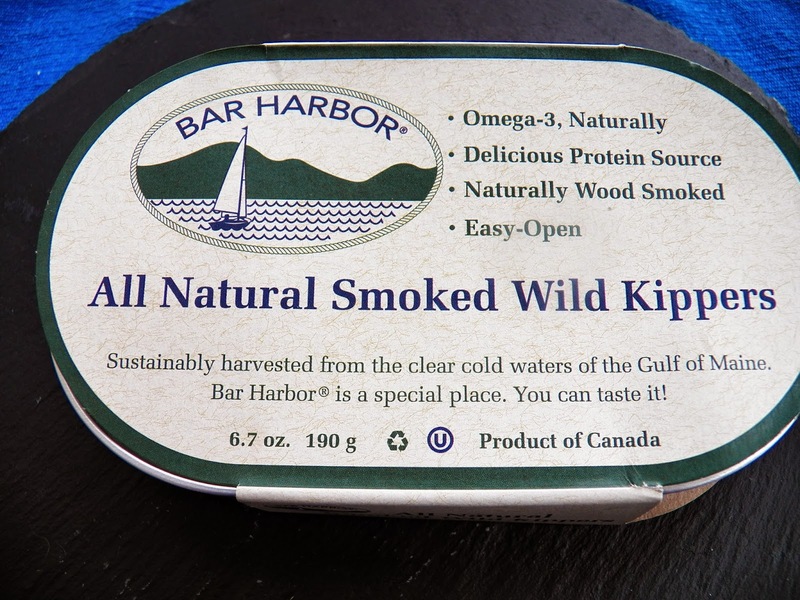 I got an email late yesterday inviting us to a birthday celebration, and thanks to my pantry re-organization, and general cleanup, I found a tin (I hadn’t forgotten about them), of smoked kippers. I’ve been saving them for a special occasion. 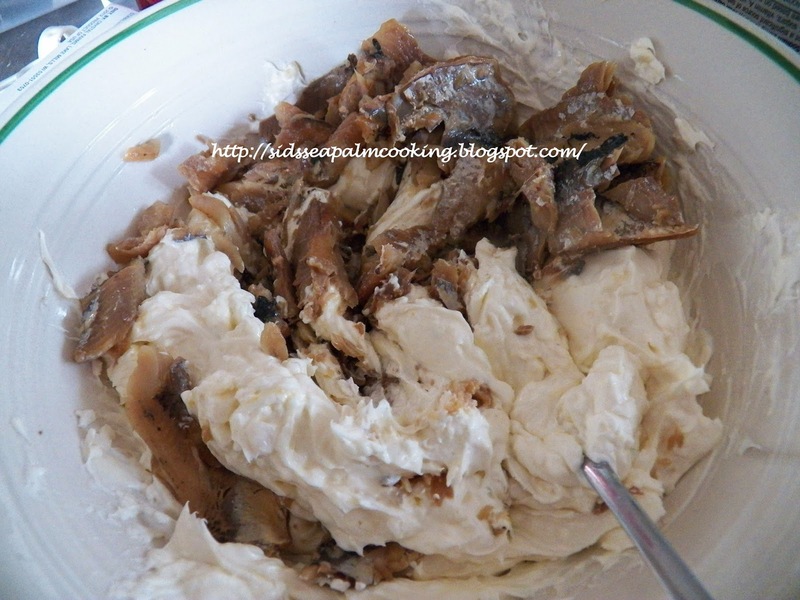 Mix everything together but the kippers, add them at the last. 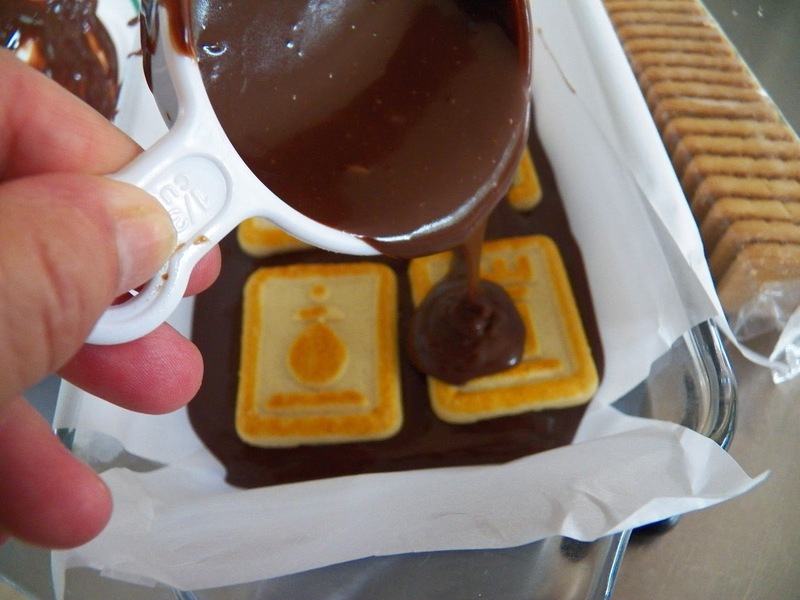 Place in fridge for at least 6 hours, you want the flavours to meld and merge together. Taste and correct any seasonings. 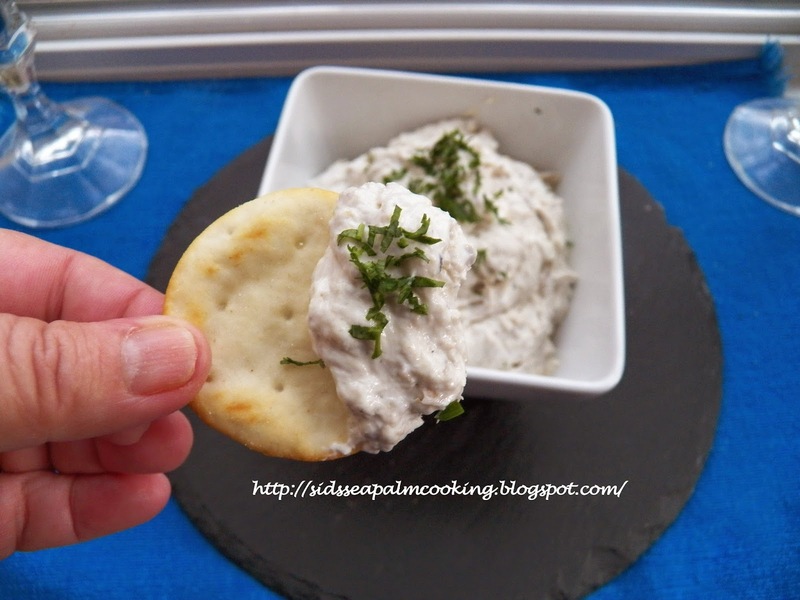 Serve with a sprinkle of parsley or other green herb on top, alongside your favourite crackers. 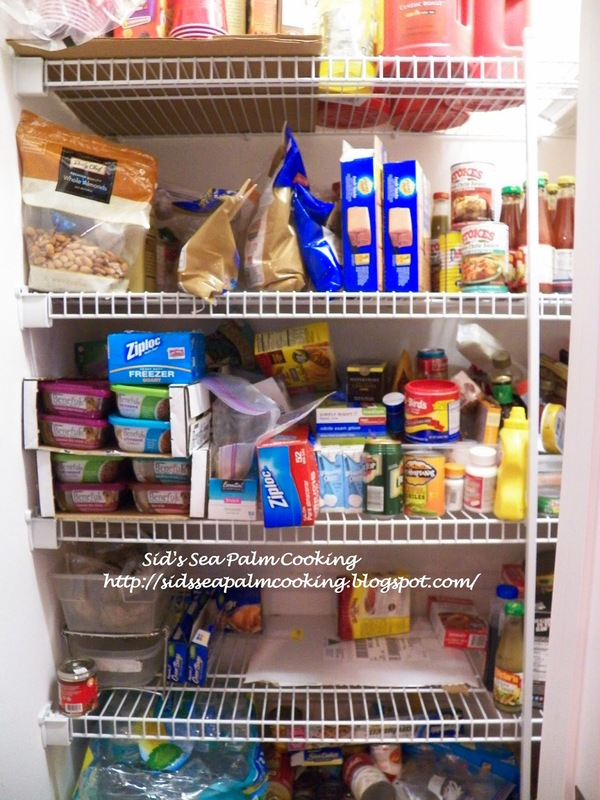 And last, but not least, here’s my reorganized pantry. I may be doing some more re arranging, but that can wait for another day. 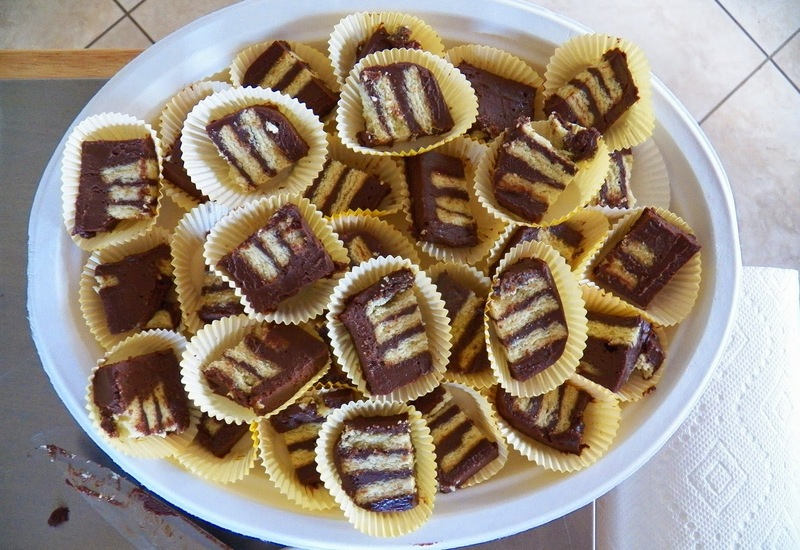 I’ll post some pictures of the food from the birthday party another day. Gotta go and reorganize another cupboard.